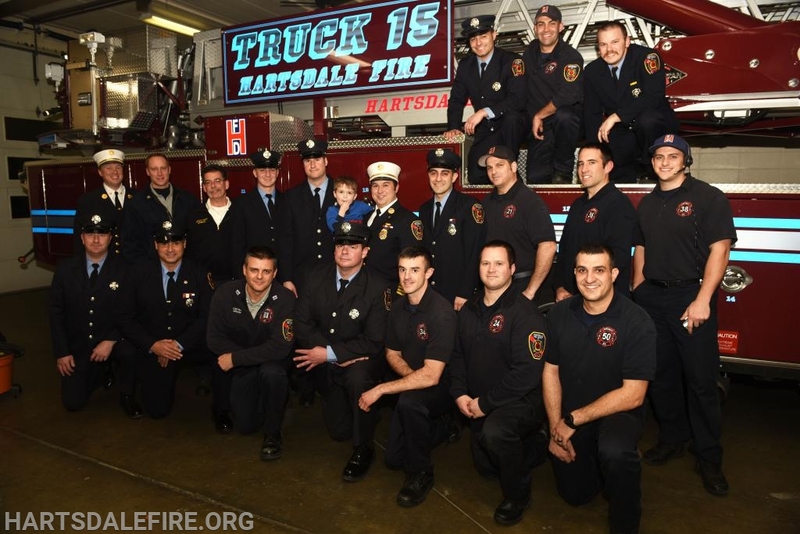 A promotional ceremony was held on January 8, 2019, at the monthly Board of Fire Commissioners’ meeting at Station 2 on West Hartsdale Avenue, during which two veteran Hartsdale Fire Department members, who both rose from the ranks of the Hartsdale volunteers, were promoted. 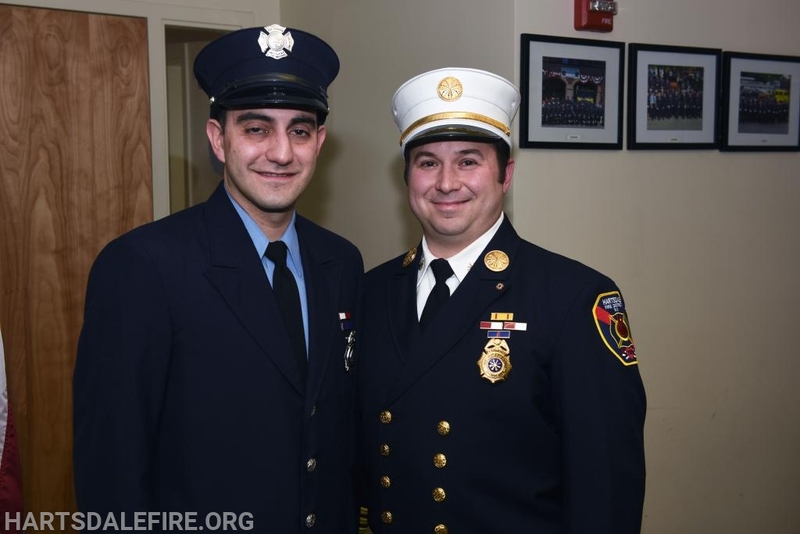 Both joined the department in 2001 as volunteer firefighters and moved through the ranks of volunteer officers. They were later hired as career firefighters. 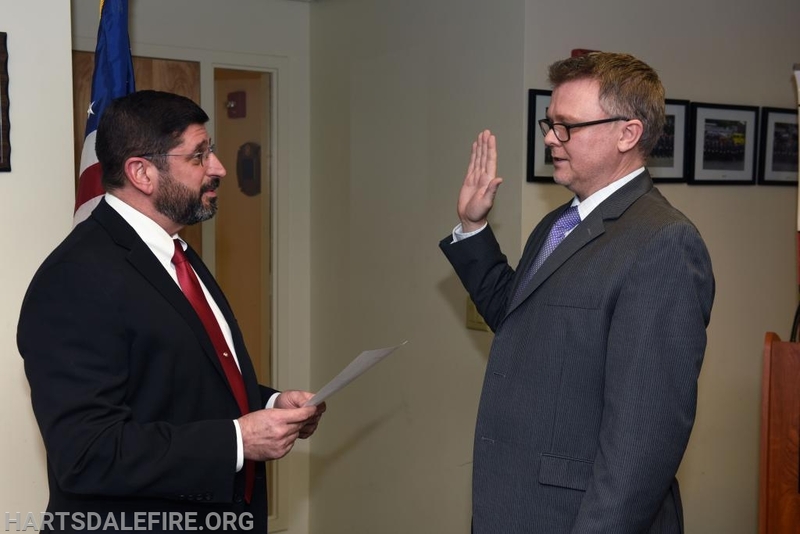 Deputy Chief Tim Mentrasti, who was hired in 2005, was promoted from Captain, a position he held since 2014. 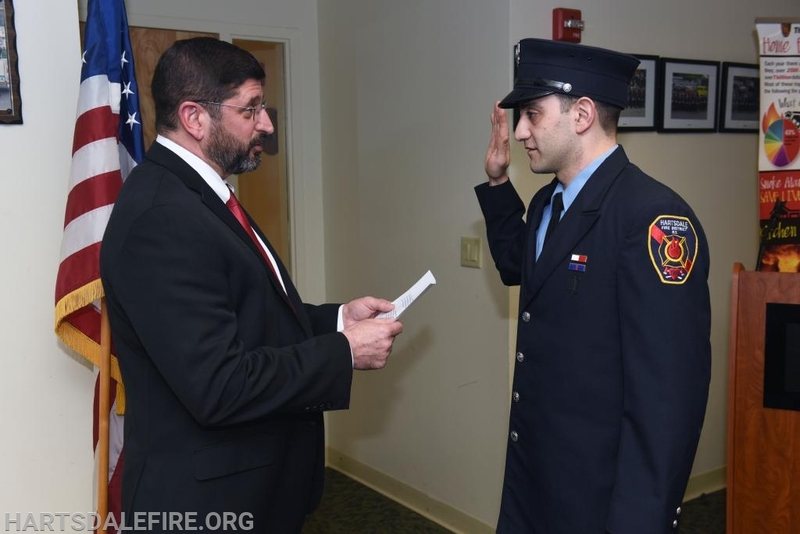 Captain Paul Liberatore, who was hired in 2007, was promoted from Firefighter. 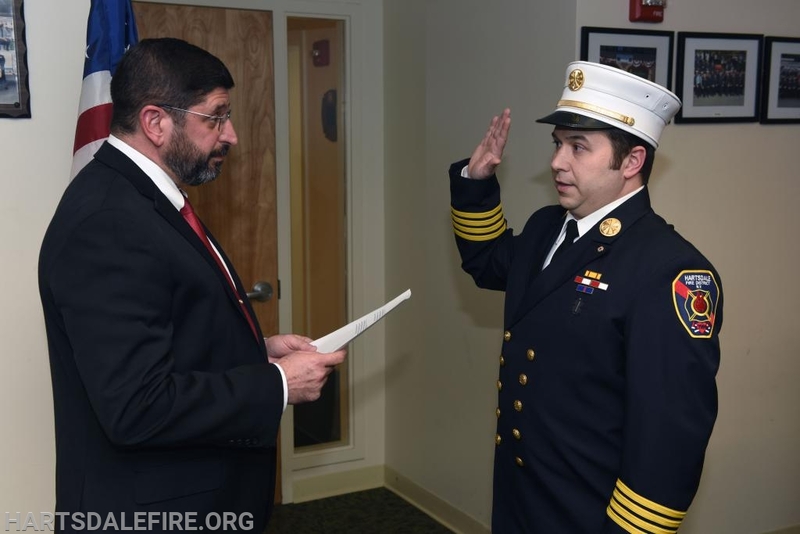 Tony Frasca, Board of Fire Commissioners’ Chairman, swore in Deputy Chief Mentrasti and Captain Liberatore. 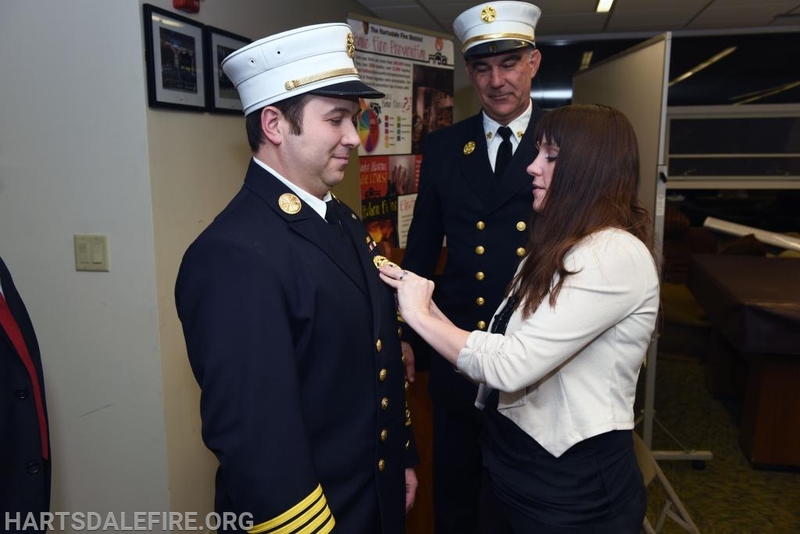 Following the swearing in, Deputy Chief Mentrasti had his new badge pinned on by his wife Amy. 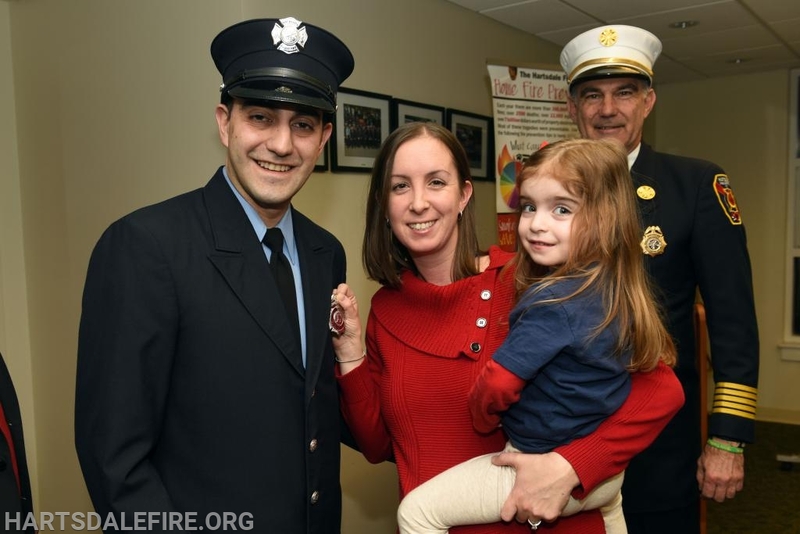 Captain Liberatore had his badge pinned on by his wife, Katelynn, with help from their daughter, Laura.